Band of Blood Brothers: COTT Turns Twenty! One of the biggest thrills I’ve had lately was being invited as a “hemophilia humorist” to the 20th anniversary of the Committee of Ten Thousand (COTT) on October 2nd in Washington, DC. COTT was formed by people with hemophilia who were infected with HIV to address the blood crisis in the community as it pertained to the tainted blood supply. Over the years, COTT has expanded it’s mission to not only advocate for those infected with HIV, but also Hepatitis C infection as well. They also keep an eye on things to maintain a safe supply for everyone- thickbloods included. The name, COTT, is a reference to the thousands of people the hemophilia community has lost to AIDS over the last thirty years. COTT, like the gay community, rallied around the issue of AIDS in America, because watching all your friends die is a terribly effective motivating force. Even though I was exposed to HIV under the same conditions as those who formed COTT, I was too young at the time of my HIV diagnosis to understand the full implications surrounding the negligence involved. One of the things that helped open my eyes after high school was And The Band Played On- the book by Randy Shilts (which I haven’t read) in 1987 which was turned into an HBO movie (which I saw) in 1993. The title is a reference to the band on the Titanic, playing music as first class citizens continued to dance as the ship went down. Now, I’m fully aware of the terrible way the blood industry handled what was happening to the hemophilia community. It was awful. But I didn’t learn the facts until about ten years after I was diagnosed, and by that time I’d committed to taking my life one day at a time and not letting things get me down. 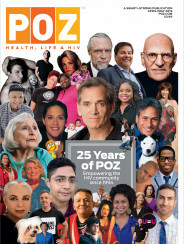 When I started educating about HIV, and found my sense of humor to be an invaluable tool, that self-preservation system enabled me to be a better conduit for others to “get to know” someone- me- who was living with HIV. In effect, making it more real. A few days before COTT’s 20th, I was combing through My Pet Virus, searching for some good stories to read that pertained to the hemophilia community. Nothing offensive, because, as the ancient Chinese proverb says, you don’t want to piss off a roomful of activists. I made a primer joke about what sort of humor was to come, joking that at the very least, I could outrun a roomful of people with bad joints. That one kind of bombed. My word took. Corey Dubin of COTT leaned behind me, giving a fellow thinblood a high-five, saying, “Hey, thinblood!” Then later, the word was used by Fran Fahey, wife of beloved community member and COTT co-founder, Tom Fahey, who passed in 2002 while awaiting a liver transplant. It was an honor to hear others say it. And get it. The immense depth of history and knowledge in the room was humbling. Dr. Don Francis (Matthew Modine in HBO’s vision) of And the Band Played On fame was the keynote speaker. It was a joy to meet someone who tried to sound the early warnings of what was happening with HIV and earn some chuckles from him as well. When I read about blood companies and the class action settlement that bought the townhome I currently live in, I was reading to the people who fought to make that- and the subsequent Ricky Ray Relief Fund Act- happen. I have been fortunate to survive all of the medical hurdles I’ve encountered thus far. And I was extremely happy that those who have experienced the loss of loved ones- children, partners, friends- found some humor in what I read and said at the 20-year celebration of survival. My book isn’t historically significant like And the Band, but providing some levity and inspiring a dark-humor-tinged smile from a community that has been through so much pain is truly an honor. I love being a thinblood, a blood brother to COTT and I’m glad that I lived to be their humorist. It’s a job and a responsibility that, ironically, I take very seriously!